An interesting photo has emerged showing what locals believe to be the figure of Jesus standing over a Colombian city recently ravaged by a landslide just a week ago. The crowd gathered in the north central Colombian region of Caldas to film the figure. 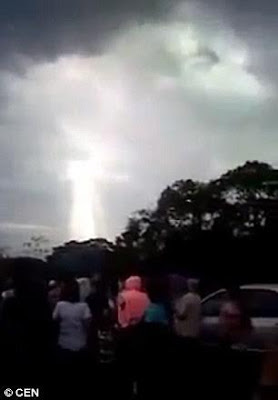 phenomenon on a mountain called Sancancio and those who lost their homes and loved ones in the natural disaster took comfort in choosing to believe that the figure was that of Jesus Christ. 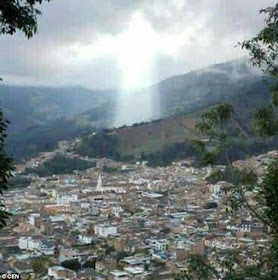 At least 17 people were killed and seven are missing after a landslide sent mud and rocks crashing into several neighborhoods in Manizales, Colombia, the government said on Wednesday, the second deadly landslide in the country this month.